This outstanding example of a 2019 Mercedes-Benz AMG GLS 63 4MATIC is offered by Mercedes-Benz of Scottsdale. This Mercedes-Benz includes: POWER EASY ENTRY BLACK AMG PERFORMANCE STEERING WHEEL Leather Steering Wheel PORCELAIN/BLACK, EXCLUSIVE NAPPA LEATHER UPHOLSTERY Vinyl Seats Cloth Seats Leather Seats Premium Synthetic Seats AMG NIGHT STYLING PACKAGE *Note - For third party subscriptions or services, please contact the dealer for more information. * Want more room? Want more style? This Mercedes-Benz GLS is the vehicle for you. Pull up in the vehicle and the valet will want to parked on the front row. This Mercedes-Benz GLS is the vehicle others dream to own. Don't miss your chance to make it your new ride. Enjoy the comfort and safety of this AWD Mercedes-Benz GLS AMG GLS 63 4MATIC equipped with many standard features found on other vehicles as optional equipment. Added comfort with contemporary style is the leather interior to heighten the quality and craftsmanship for the Mercedes-Benz GLS Put away your phone and focus on the road, your new vehicle has navigation. 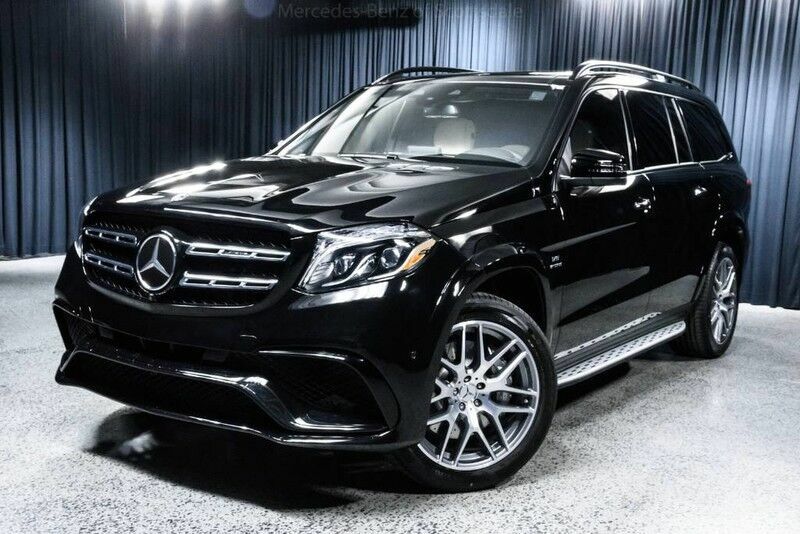 This 2019 Mercedes-Benz GLS AMG GLS 63 is offered to you for sale by Mercedes-Benz of Scottsdale. Want more room? Want more style? This Mercedes-Benz GLS is the vehicle for you. There's a level of quality and refinement in this Mercedes-Benz GLS that you won't find in your average vehicle. This Mercedes-Benz GLS is equipped with AWD for improved handling. Whether you're faced with inclement weather or just out enjoying the twisting back road, you'll have the grip of AWD on your side. There is no reason why you shouldn't buy this Mercedes-Benz GLS AMG GLS 63. It is incomparable for the price and quality.